It was a crazy day at Boca Grande Marina on Wednesday, April 4 as deputies were called there at 2 p.m. to stop a boat theft in progress. In the end, they found a stolen car as well. 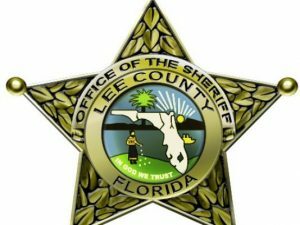 According to Lee County Sheriff’s Office reports island deputies were called to the marina, located on Harbor Drive, by the dockmaster who advised them that a man, later identified as Brandon Finch, 28, of Venice, had tried to steal a boat from a slip. The boat had been untied and was no longer secured to the dock at the time the attempted crime was discovered, but luckily Finch had been unable to start the boat because the keys were not available. The dockmaster told deputies he was able to re-secure the boat and told Finch to get off the boat, sit down and wait for deputies. Reports indicate a second witness told deputies he saw Finch sitting in the vessel – a 2012 Shearcraft – trying to start it by putting a pair of scissors in the ignition. When asked what he was doing, Finch told the witness he had lost his key and that he needed to get the boat back to Siesta Key. When the witness saw the boat drifting away from the dock he told someone at the marina to call 911. According to reports the owner of the boat was found and told deputies he wanted to press charges. Reports alledge that when the deputy was walking Finch back to the patrol car he asked him how he arrived at Boca Grande Marina. It turns he drove there, in a vehicle that had been reported stolen from a gas station in Venice earlier that day. The owner of the car was contacted and described what Finch had been wearing when he stole her car, and as it turns out he was still wearing the same clothing and matched the physical description the witness provided. At that point Finch attempted to provide a false name – Gregory Bates – and said that Finch was his twin brother (even though deputies found Finch’s identification on the passenger seat of the stolen vehicle). Reports show that probable cause was established to arrest and charge Finch for grand theft of property (value $20,000 to $100,000) in regard to the Shearcraft, as he had taken possession of the boat by boarding it and releasing it from the dock, as well as attempting to start the engine. Finch was also charged with grand theft of a motor vehicle in regard to the 2016 Toyota Camry that was found in his possession, that was reported stolen in Venice. Finch was transported to Lee County Jail where he remained at press time.